On the final day of the season, Jose Mourinho took the decision to rest a whole host of his first-team stars – giving some immensely talented youngsters their moment in the limelight. One of those guys who started against Crystal Palace was Josh Harrop. The 21-year-old midfielder started on the left-wing, and in the first half he scored an absolutely cracking goal to send the Old Trafford crowd into chaos. 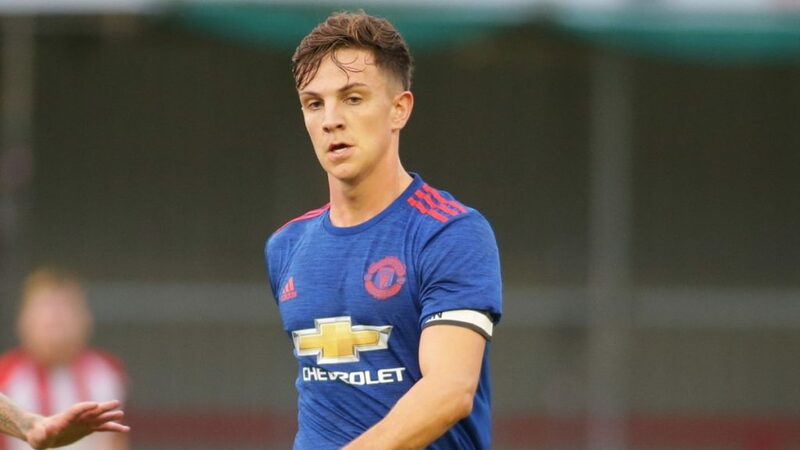 However, today, Manchester United have confirmed that Harrop will be leaving the club at the end of his current contract, and he’ll be joining Preston. You always felt like regular playing time for the Stockport-born attacker was always going to be hard to come by, but he deserves credit for making such a hard decision. It must be tough to say goodbye to a club with the stature of United, however, he understands that he must be playing regularly to progress as a player. Harrop has immense talent, quite clearly, and he had been a key part of our reserves side for a few years now. For him to be playing competitive football every week must be exciting for him. Who knows, we may see him back at United in the future.